Join Anodot at booth 2022 in the South Hall of the Game Developer’s Conference 2018, March 21-23 at the Moscone Center in San Francisco, CA. We’ll be sharing our experience and insights into how AI-powered analytics applied to your volumes of data can surface critical issues, minimizing revenue loss or discovering valuable opportunities. Dealing with an immense volume of data (billions of events per day), and because the data is noisy, gaming companies need to be able to get a clear picture out of this. With the collection of terabytes of data a day, having an AI-powered analytics solution can significantly decrease the time needed to detect costly issues. To ensure that the customer experience remains engaging, AI analytics can detect drops in app performance in real time, seamlessly correlating this data with other relevant metrics to present the full story for any business incident, minimizing costly losses. 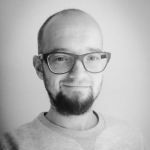 Lukasz Korbolewski is the Product Owner for Business Intelligence with King. He is a BI expert who loves elegant data models and modern analytics solutions. King is the leading interactive entertainment company for the mobile world. Around the world, people play many of King’s games, including popular titles like Candy Crush, Farm Heroes, and Pet Rescue.